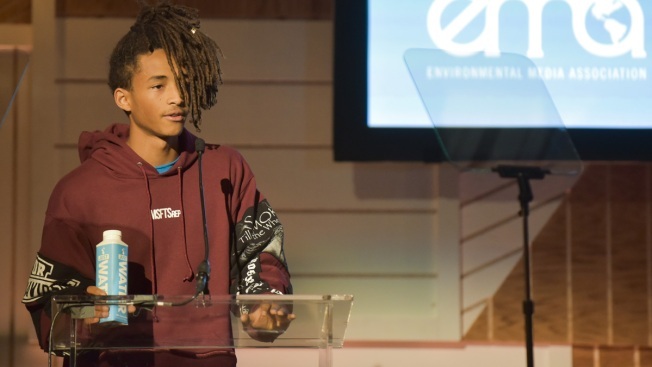 In this March 23, 2017, file photo, actor and JUST Water Investor Jaden Smith speaks onstage at the EMA Impact Summit in Beverly Hills, California. Jaden Smith's foundation and a church are working to bring cleaner water to Flint, Michigan. The rapper's organization and First Trinity Missionary Baptist Church on Friday announced they'll deploy a mobile water filtration system known as "The Water Box" that reduces lead and other potential contaminants. The 20-year-old's JUST goods company collaborated with the church to design and engineer the system. He is the son of Will and Jada Pinkett Smith. The church has distributed over 5 million bottles of water to residents, but bottled water donations are on the decline. 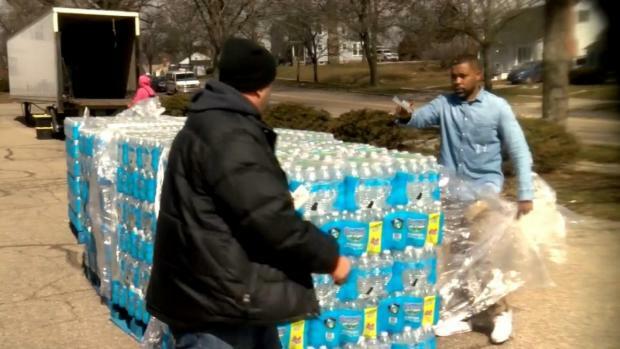 Residents of Flint, Michigan, are frustrated and angry after learning the state will stop providing them with free bottled water. Flint has been replacing water lines after lead-tainted water was discovered in 2014. Lead began leaching from pipes after the city tapped the Flint River for drinking water without properly treating it to reduce corrosion.